Peach Butcher Wrap is designed to help keep meat looking fresh while on display. The treated paper helps the meat keep its color and hides the extra juices that run out. Peach Butcher Wrap has unique blood and water hold out properties for wrapping meats and other moist products. 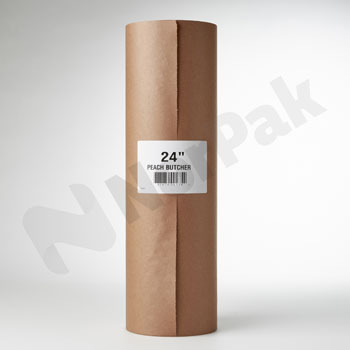 With its high tear and burst resistance, this paper helps prevent bones breaking through the wrap.